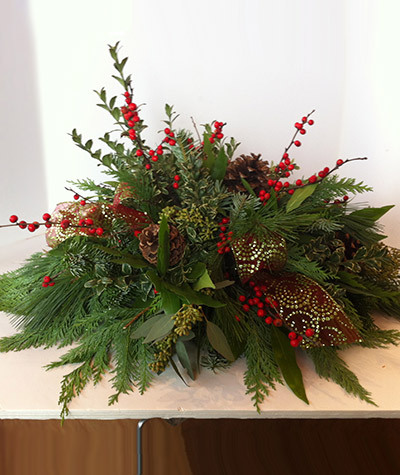 A medium size centerpiece for the holiday table or buffet. Made with assorted evergreens, winter berries and shimmery holiday ribbons and trim. Long lasting and beautiful holiday arrangement to which candles can be added.